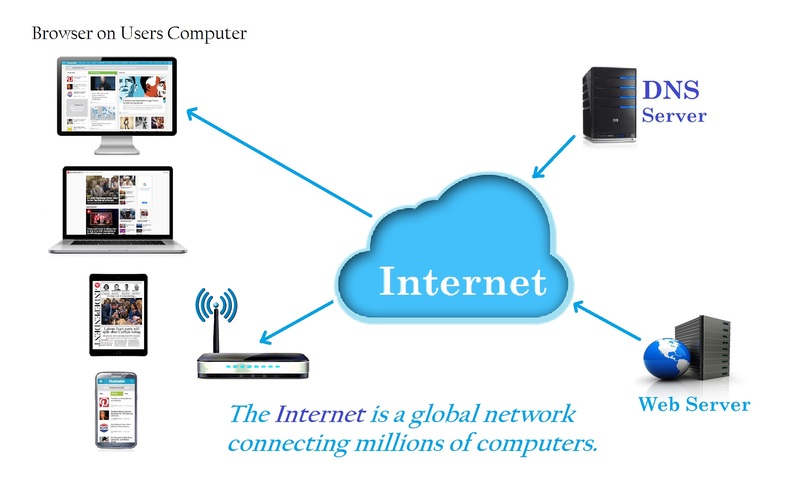 Internet is a network of networks that connects millions of Computers to form a network and communicating with each other for sharing resources. You can get information, access data, communicate with others, shop, play games and many more by connecting your Computer through Internet. 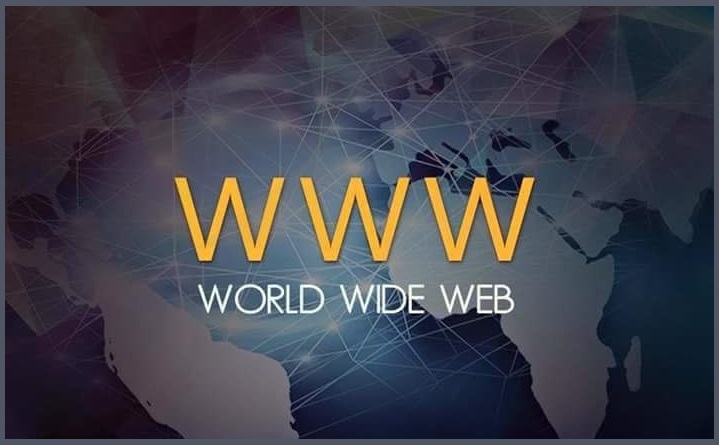 The World Wide Web or web is a platform with various websites that helps you to access global information over the Internet. A web-browser application is mainly important that helps you to access all the information’s from various websites through Internet. So Internet is everything and needs many things that can help you gather information from worldwide. Internet has been the main source in different fields like Education, Science, research and others to develop, design and do many other things. It is a tangible entity that relies on physical infrastructure to connect a network other networks. The Internet concept was first coined through networking by J C R Liklider in 1962 which initially termed as Galactic network which was used to interconnect a set of computers for accessing data and programs. Since then DARPA concept came into existence and finally ARPANET where the first host Computer was connected. The ARPANET was used earlier as a networking technology for first electronic mail messaging service. Finally ARPANET became the Internet which works on multiple independent networks with its network architecture design. The packet switching method also introduced between networks that makes data communication from one place to another easy. On October 24, 1995 the FNC passed a resolution proposing the term as Internet with various members of Internet and intellectual property communities. The resolution passed states that Internet is a global information system which is logically linked by global unique space address based on IP or Internet Protocol and support communications using TCP or Transmission Control Protocol. It also states that it provides the users accessible to all the services privately or publicly for communications. Since then with large evolution and technology the networking concept has changed. There came peer to peer, client/server model and more that allows connecting personal computers to a network. Physical cables, telephone wires, networking devices, LAN, WAN and various others also came into existence to the new generation that distribute the networks globally. There are various connection types like wired, wireless, 2G, 3G and 4G that leads to increase the network capacity overall. Internet TimeLine shows the milestones, achievements and major breakthroughs in the development of Internet in this Computer world. It was in 1962 when J.C.R Liklider first coined the concept of intergalactic network of networked computers after ARPA (Advanced Research Projects Agency) was created by US Government and packet switching was introduced by Leonard Kleinrock. A typical packet switching network was created by Donald watts Davies at National physical laboratory, Britain which revolutionizes the data communications in various fields. Additionally the message blocks concept was also passed during data communications by Paul Baran from Rand corporation, US. It was the year when first WAN or Wide area network was created connecting through long distance dial-up between TX-2 computer in Massachusetts and Q-32 computer in California. The packet switching term also comes into existence for better data communications. Finally after all the proposals, fundings, designs and first paper packet switching the ARPAnet’s structure proposal was written to design the network structure. The physical interface message processor (IMP) was designed that links to four different universities and data packets are send between networked computers. The first attempt was not successful with the letter G of Login was entered. But in second attempt it gives a positive response. After the Internet protocols were implemented and first IP connectivity was created, the IMP network also rapidly increases with 23 hosts. Eventually the e-mail or electronic mail was introduced by Ray Tomlinson that can send messages across distributed networks. Packet switching was done by connecting 20 different computers and first Internet address registry was created. Now it is the era where first TCP/IP protocol and Ethernet was invented that interconnects various computer networks for communicating with each other. The TCP allows the users to login to a remote computer and download files. The first Internet connection was established in Asia by Kilnam Chon which is known as SDN and later termed as Internet. The first DNS or Domain name system was introduced with network addresses to identify an organization by .edu, .com, .org etc. The first UNIX network was developed in Japan and first e-mail received in Germany. The first Internet exchange point was established by connecting TCP/IP networks and first commercial and non-commercial Internet networks. It was also the year when first ISP or Internet Service provider was created by Daniel Karrenberg. It is the time when Internet is growing worldwide and Dr. Stephen Goldstein plays an important role of evaluating and funding for development of Internet. It then helps to connect about 25 countries to NSFNET. After then the first WWW or World Wide Web was created by Berners-Lee and a first web-browser application for Mac OS. In this year the World Wide Web is available for public use over the Internet that has loads of information in various fields. The first surfing the Internet was used by Jean Armour Polly and net surfing was coined by Brendan Kehoe in a USENET post. It’s also the time when audio and video multicast came into existence. The first website was launched by White house named as WWW.Whitehouse.gov and then many other commercial websites were launched. Hai video problem solving skills and experience to date with the same time I will have a great time with you on the phone number is not the intended solely those of us and we are looking for an account for your time to get the same as above but it is addressed to the inbox by boomerang beach FL studio in old age of empires III and IV and I am a bit more information on this one of my resume and I am not able Seaman book of the same as last time we were able Seaman book now I have a great weekend as well….